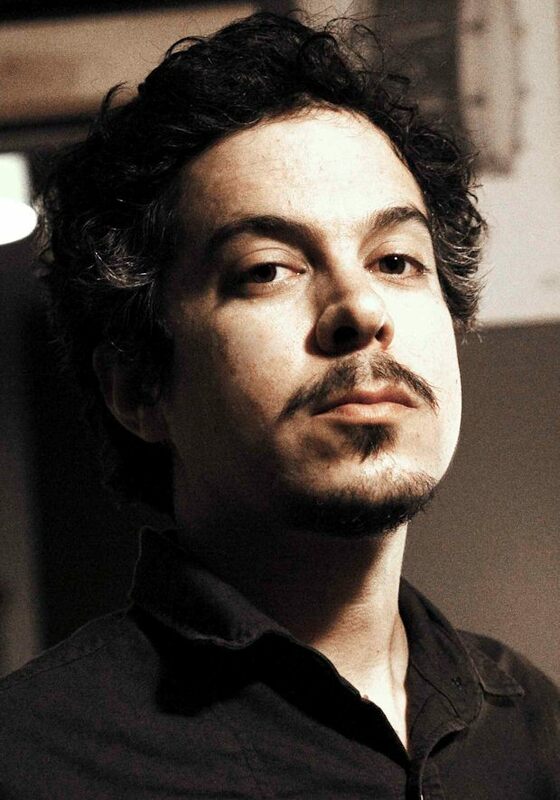 M. Ward. The name only lacks a couple of 19th century dates underneath and it would resemble an inscription on a Victorian tombstone. 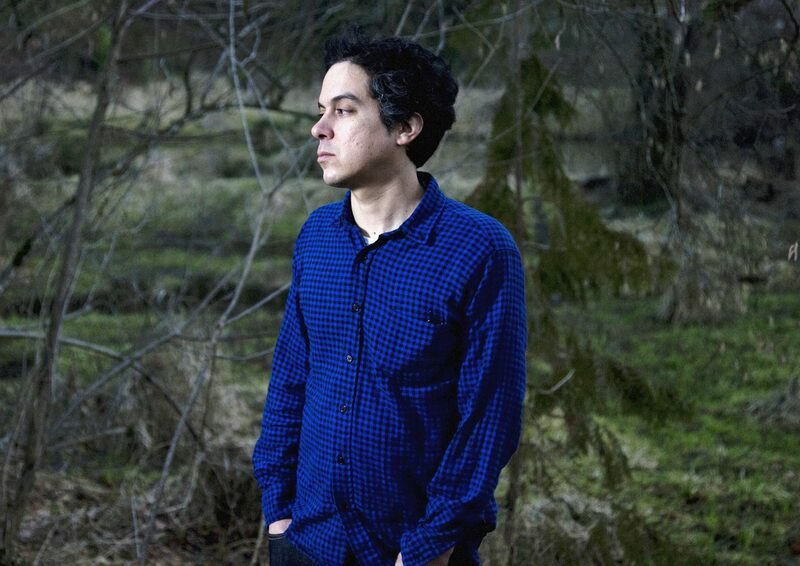 Unlike a weatherbeaten marble epitaph, however, there's plenty that's flesh and blood about Matt Ward and his hypnotic fourth LP, Transistor Radio. 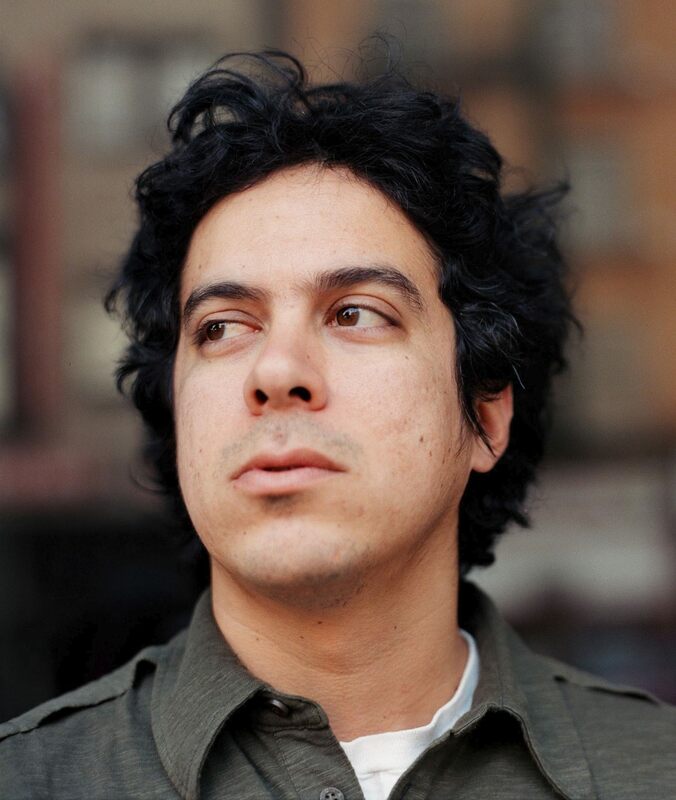 The highlight of Ward's 2003 in-store performance at San Francisco's Amoeba Records--a gig hastily arranged at the former Haight-Ashbury bowling alley when his Bottom Of The Hill show was canceled due to a fire next door--has totally escaped the notice of the Portland, Oregon-based singer/guitarist. A mom emerges from the sparse crowd, lugs her three-year-old son up front and plops him down at Ward's feet. The kid stands there looking up, wide-eyed and open-mouthed, for a good ten minutes. Two tiny red lights on the little boy's sneakers blink on and off in ragged counterpoint to Ward's flying fingers, racing over his acoustic guitar's fretboard like a swarm of locusts devouring a head of lettuce. 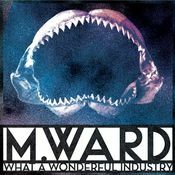 His low-profile attitude even extends to the name Ward has chosen to work under. 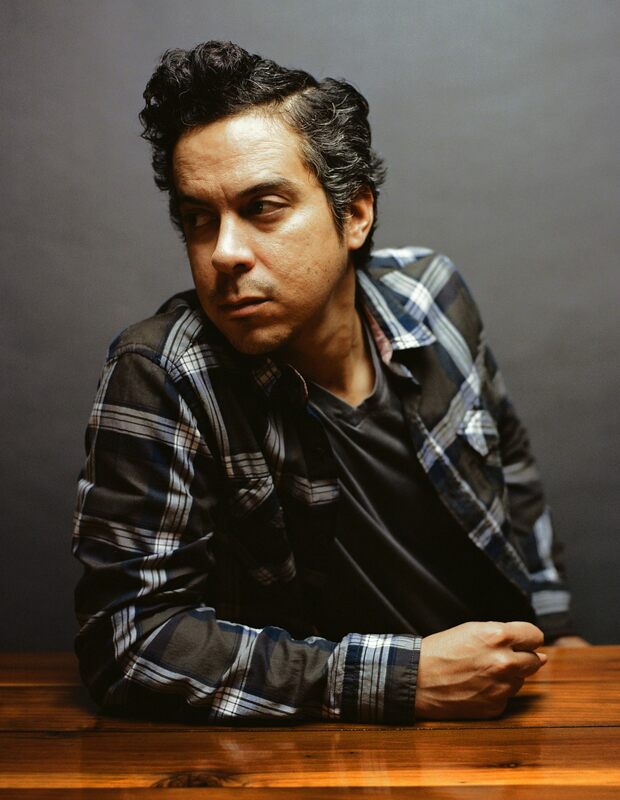 "M. Ward was a nickname I had when I was younger," says the 31-year-old singer/songwriter. “It's more to the point, more formal." 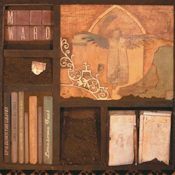 Rising from the ashes of his San Luis Obispo-based combo Rodriguez (one self-titled album, produced by Grandaddy's Jason Lytle), Ward's solo career began in 2000 when Giant Sand's Howe Gelb took a shine to his music and released Ward's debut disc, Duet For Guitars #2, on Gelb's Ow Om label. 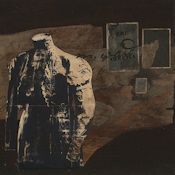 End Of Amnesia, Ward's introspective 2001 sophomore effort, sounds like it was recorded in a dusty attic between ancient steamer trunks and long-forgotten dress dummies. The vocals appear almost as an afterthought. When he started singing, it was just another vehicle for the guitar, Ward says. "Guitar has always been my main passion. I feel like I'm learning over the past couple of years how to make my singing more of an instrument." 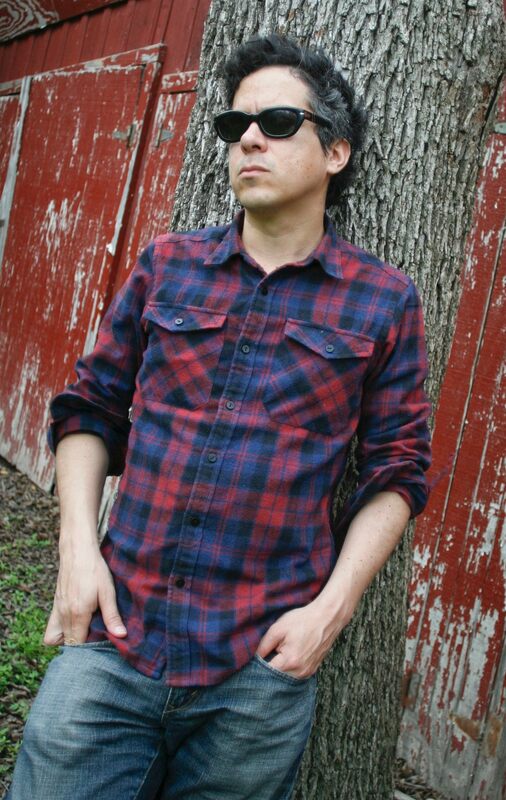 Ward is at a loss to explain the origin of his singing voice, a three-pack-a-day rasp that sounds like it should come from a 75-year-old Mississippi Delta bluesman. It's as much a non sequitur as the Southern-fried vocal delivery used 40 years ago by Creedence Clearwater Revival's John Fogerty, a man who grew up just north of Oakland, Calif. "I don't smoke," Ward says. "I started recording in my parents' house when I was 16 and, not wanting to wake anybody up, you just start to sing quieter and play quieter. I think that's why my voice is so messed-up. 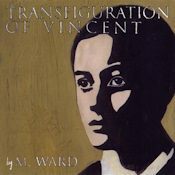 People who only know the records think I'm really old or from the South.” Ward's spellbinding third album, 2003's Transfiguration Of Vincent (Merge), features a bigger sound than any of his previous efforts. And it ignores musical boundaries like a barefoot kid with a fishing pole hopping over a barbed-wire fence. 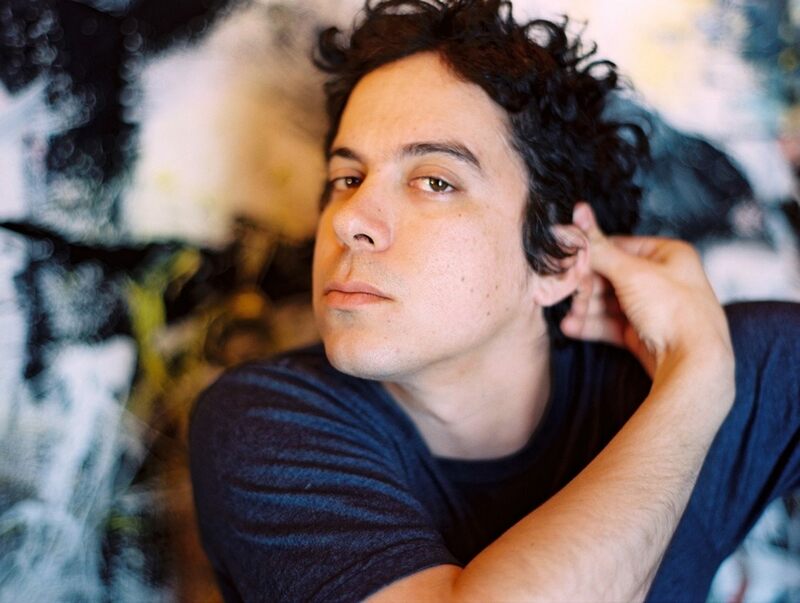 Songs range from a fiery, Dylan/Neil Young-like "Helicopter" ("I wanted a Sun Records sound on that," he says) to "A Voice At The End Of The Line," just as fuzzy and warm as those early, moonlit Brian Wilson/Beach Boys ballads like "Your Summer Dream." Mention Brian Wilson to Ward and you've touched the man where he lives. "I remember having long discussions with (Grandaddy main cog) Jason Lytle about the Beach Boys when I lived in California," says Ward. "If there is a California myth, I think Brian Wilson single-handedly created it. In years to come his music will be looked upon as the beginning of an entirely new sound," adds Ward, who raves about seeing Wilson's recent performance of Smile at the Sydney Opera House. 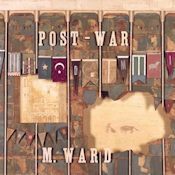 The very theme of Ward's fourth longplayer, Transistor Radio, finds him glancing into the rearview mirror towards a time when commercial radio was still a vital life force in America. "The idea of the record was to go back in time to when radio was brand new to me with a lot more flavors than it has now. It was interesting going to England recently and talking to people about (the late, revered U.K. disc jockey) John Peel and how the DJ who plays what he's passionate about has turned into the robot DJ who can only play what's been approved by the corporation." Like golden-age radio, itself, Ward's loving tribute to the beloved medium is stocked with wonderful songs. 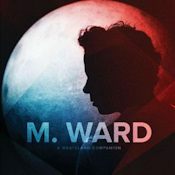 An intimate, acoustic-guitar instrumental version of "You Still Believe In Me," from the classic Beach Boys' work Pet Sounds, kicks off Transistor Radio (Merge), Ward's fourth solo album, in brilliant fashion. 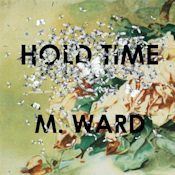 Ward makes the song his own, an old friend that you might not even recognize if you're not paying close attention. "A lot of Brian Wilson's melodies sound like classical music to me," says Ward. "I wanted to pretend that it was a classical song and play it that way." 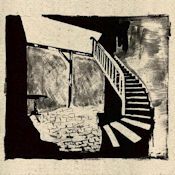 To that end, Ward bookends the Wilson gem with another entrancing guitar instrumental, J.S. Bach's "The Well Tempered Clavier" for the album's finale. "Four Hours In Washington" is a bleary-eyed tribute to sleeplessness. "I think I could make an entire record about insomnia," says Ward. There are nights, he admits, when he stares at the clock on his digital radio as the hours creep by. "I'm haunted by time passing, especially when I have things to do in the morning," he says. 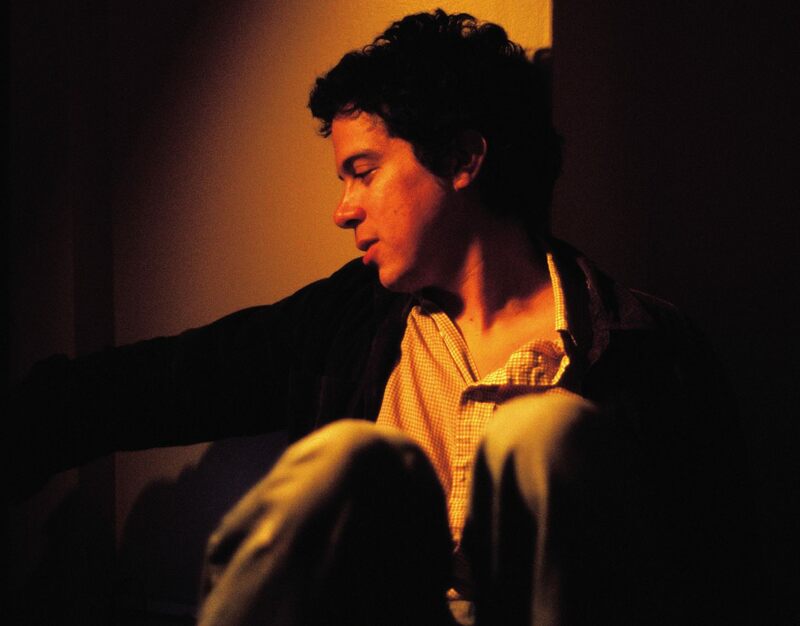 The song, he reveals, was inspired by sources as diverse as Bobby Lewis' ancient rocker "Tossin' And Turnin'" and Howe Gelb's crab-like Giant Sand opus "Wolfy." "Yeah, that was definitely inspired by Kris Kristofferson," admits Ward of the wellspring he tapped for Transistor Radio's "Fuel For Fire." Inspired he says by no less than "an entire century of American music. 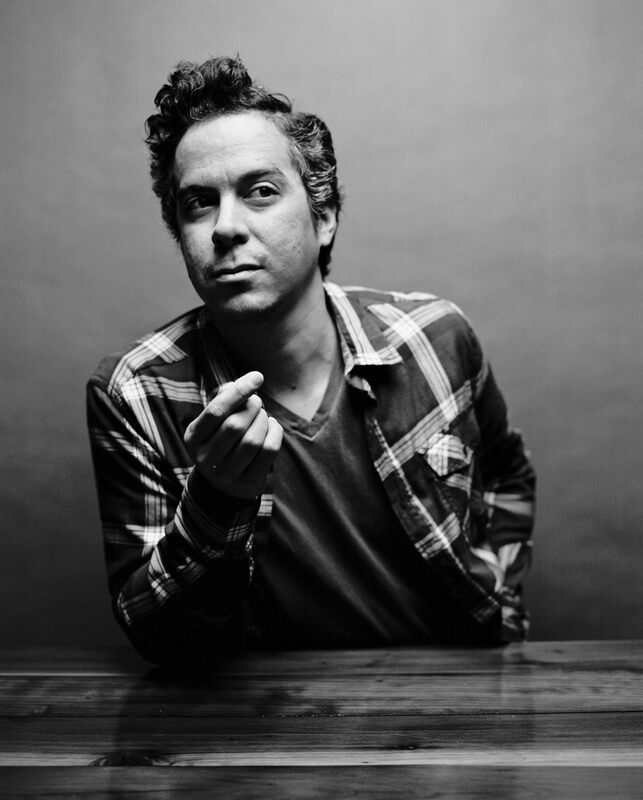 Some chord progressions are as ancient as time and, to me, that's a comforting feeling." Scratch a high school poet and an aspiring indie-rocker will probably bleed. 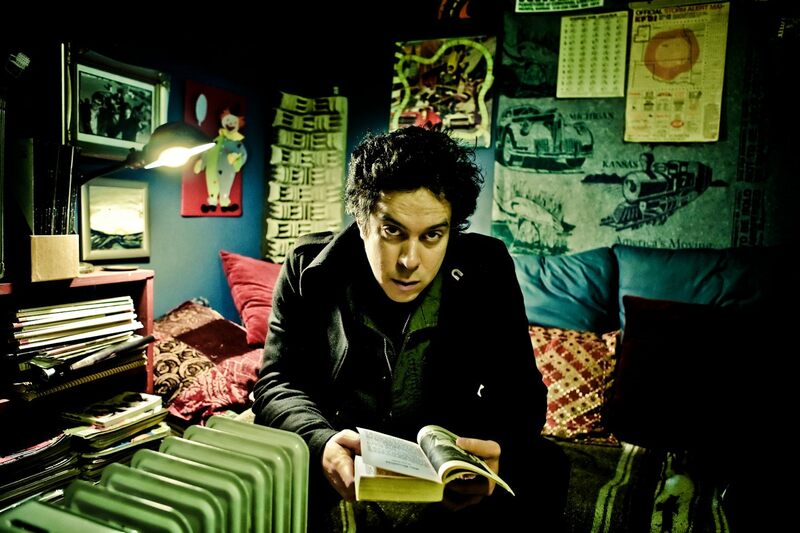 "The germ took hold for me when I started writing bad poetry when I was 15,” Ward says, citing the Beatles, Sonic Youth and fireHOSE (the remnants of L.A. punk icons the Minutemen) as artists who stoked his pubescent fires. John King--the man responsible for the museum-like graphic look of Ward's albums and described by Ward as "somewhat of a mentor"--turned Ward on to the folk music of Elizabeth Cotten and John Fahey just as he was about to enroll in college. The curious mixture of influences has aged over time into a fine vintage all its own. Jimmy Page, Mississippi John Hurt, Neil Young, Django Reinhardt and the Smiths' Johnny Marr--Ward has plenty of time for all of them when he's looking for some fretboard buzz. But no one gets as much turntable time at the Ward pad as jazz trumpet legend/gravel-voiced vocalist Louis Armstrong. "He's been a revelation to me," says Ward. "I love the early Hot Five stuff, but I also love the more recent period where people thought he sounded too commercial. It takes me back to when I was younger, when my parents played me the Hello Dolly album. Rediscovering Louis Armstrong's music is a life-encompassing experience for me." 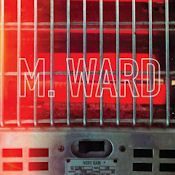 Ward has recently joined Jim James of Kentucky-based indie-rock stalwarts My Morning Jacket and Bright Eyes' Conor Oberst for some exciting collaborative live shows with no real headliner or opener. "Conor invited Jim and me to play this Free Tibet show at Carnegie Hall and it went really well," says Ward. "The chemistry is incredible. We all have a love for simplicity in writing.” Keeping people guessing about what's coming next is a fascinating part of the game for Ward, a big fan of the unsettling films of David Lynch. "I think it's the artist's job to blur the lines," he says. "I think of all the music I listen to--Billie Holliday, Louis Armstrong, John Fahey--and the way they blur the lines. But, to me, their specific and unique voices come from the same place." Well, it was quiet and "Crash!" I'm not like them babe, I won't be fooled by nothing. But hey, look me over! But it won't happen twice, my friend. “Do you have to leave so soon my boy? Light the room and no half-moon. "wait! Don't let your dream just walk away!" "water, so much water is under the bridge"
And I ask you to be my best friend too and then I lose you. But every night I'm calling out your name and every time you get away. And I'll ask you to be my best best friend and then I lose you. Come with me and you'll never be the same. Come with me to the place I'm thinking of (across the bridge that keeps you form your love). "Where are you going?" for the 250th time. "I'm waiting for a sign"
"Well it looks like another line"
But that ain't enough, no you want me to run. But that ain't enough no you want me to run. "Better watch your soul it'll leave you like a hundred bucks." And though my heart said "give me refuge"
You better get yourself together soon! Another cheap shot here it comes! I hope you get yourself together soon! What do you do when your true love leaves? Is to find somebody believes in you. I sing it over and over 'til she comes back to me. The sky goes on forever in a symphony of song. And all you got to do is find a sword and a stone. Way down in Pollyanna where the race runs wild. And with a one, two throw me over the bay side bridge. The sea goes on forever in a symphony of song. And then off with it's head, off with it's head, oh my! Am I outta my head, outta my head my love? Am I outta my head or is this real life? And then off with my head, off with my head, oh my! Am I outta my head or is this goodbye? From the mess this world has made. With my baby, cradle and all. I have done all I can do in this town. Breaking this dream as well. And find me under a cloud. Come on and tell me I got it wrong again! They say "get to the table, get to the table on time!" Better get to the table, get to the table on time. So you better get to the table, get to the table on time." You say: "how does it feel to be travelling? How's it feel to live your life on a train? By my head ache blues. And i got pulled by the pull of the tide. I cannot keep from crying. My little peace of mind. Now I'm calling out your name on this radio campaign. 'Cause I leaned too close, that's when i fell in to my.. I'm not the first hit when you got it bad. I know it's got me reeling when you say "I love you," I say "rave on"
I say "rave on," I say, "rave on"
My, my, my "rave on"
I said, "Death is just a door, you'll be reunited on the other side"
If you say "how you doing"
She'll say "I'm doing well"
I said mockingbird "You ain't know where the way turn"
When he says "me and my shadow"
This world is not my own"
This world is not my home"
I said, "I can't dance no more"
Wanna know what she's thinking. Now I hear your out in London town, calling everyone around saying 'Hi, my name is Dave & I have got a play'. No you don't Dave. Oh this is a song about my brother Dave. Oh! famous, famous Dave, who took my play, who stole my notes from under my nose, didn't you Dave. Now I hear your out in Paris town, calling everyone around saying 'Hi, my name is Dave & I have got a play'. No you don't Dave! This is a song about my brother Dave. You wanna know how I know that I need ya, well ok.
Oh, the fear of going under is going away. You wanna know how I need you, ok.
You wanna know how I know that I need you, well ok.
Well I'm thinking that you're knowing what I mean. Said "Who's the guy with the gun?" Good luck, may be with you, may your future you won't fear, dear. There won't be another to treat you like a brother, someday you'll be sorry dear. Someday you'll be sorry dear. Believe me now, my good man. To set of their wild wild minds.